Enter below for your chance to win Travel Wisconsin’s Road to The Ryder Cup Sweepstakes! 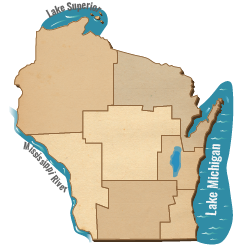 Existing Travelwisconsin.com user? Sign into your account to fill out the form faster. The road to the 2020 Ryder Cup leads to iconic Whistling Straits on the majestic shores of Lake Michigan. The preeminent golf event between the 12 best players in the United States and the 12 best players in Europe will likely be the highest profile global sporting event ever held in Wisconsin! Tickets for the 2020 Ryder Cup will be sold through a random draw process. Scroll down and enter for your chance to win. For more information, visit www.rydercup.com and click on 2020 Ryder Cup in the right rail.